Emerge from within the clouds, G-AsiaPacific came into existence in 2008, and has been serving over 60,000 customers ever since. We are a fully integrated cloud advisory and brokerage company in Asia Pacific, offering professional cloud computing services using the best-in-class IT solutions. As a company that is born in the cloud, we understand the importance and impact cloud technology has on a business. Hence, we make it our mission to provide you and your company modernized and reliable IT consultation and services. We are partners with three of the biggest multinational technology companies that provide cloud computing services, namely Google Cloud Platform and G Suite by Google, Amazon Web Services (AWS) by Amazon.com and Microsoft Azure and Office 365 by Microsoft. 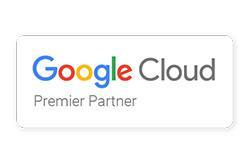 G-AsiaPacific is proud to say that we are a Premier Partner of Google Cloud Platform, and have a team of Google Apps Certified Deployment Specialist and Sales Specialist to help transition your company to the cloud. Besides that, we are also a Channel Reseller and Managed Services partner for AWS. Our team also carries AWS Certified Solutions Architect qualifications, both Associate and Professional levels, along with AWS Certified SysOps Administrator, Associate level qualification. 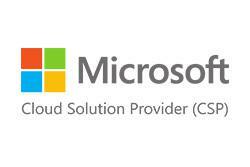 Furthermore, G-AsiaPacific is a Tier-1 Cloud Solution Provider (CSP) for Microsoft in Malaysia, enabling us to deliver licensing and deployment services, offering clients an end-to-end customer experience.